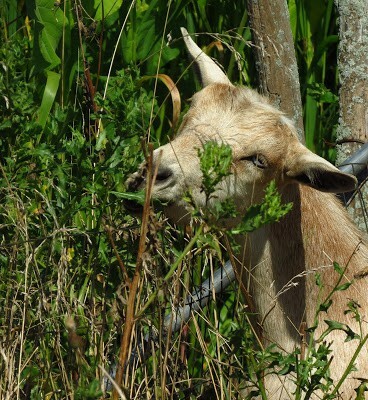 Goats discovered coffee: According to the National Coffee Association, a goat herdsman by the name of Kaldi started to notice his goats becoming very hyper in the nighttime hours after eating a foreign plant. They had so much energy that the goats had trouble sleeping at night. Kaldi reported his findings to the local monastery where the plant was experimented with and made into a drink. The abbot of the monastery soon began to feel the effects of the new beverage as he was alert and up in the long hours of the night, which benefited his evening prayers. News soon spread of the beverage and after reaching the Arabian Peninsula, it went global. Learn more about goats in Raising Goats Naturally: A Complete Guide to Milk, Meat, and More.